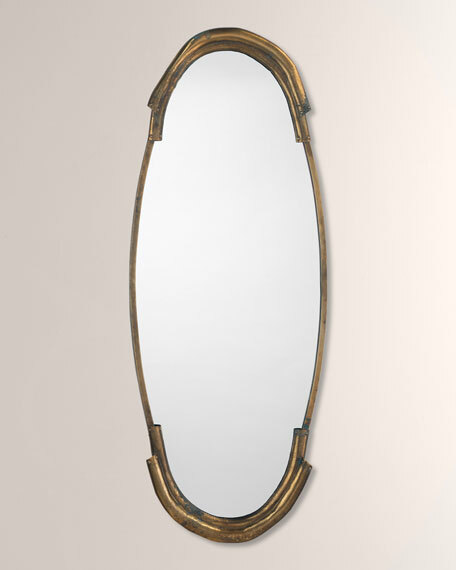 Our Margaux mirror is inspired by a Parisienne esthetic and crafted in simple antiqued silver and brass. Handcrafted oblong mirror with metal frame. 17"W x 2"D x 45"T.
Weight, 16 lbs. Boxed weight, approximately 19 lbs.